I love the earthy, desert vibes of succulents. I am that person who lights up when I see succulents on sale at a store – but quickly remind myself of the many succulents that have not lived long under my watch. The truth is, succulents are water storage plants and should be kept outdoors (not by my bed or on my desk... sadly). 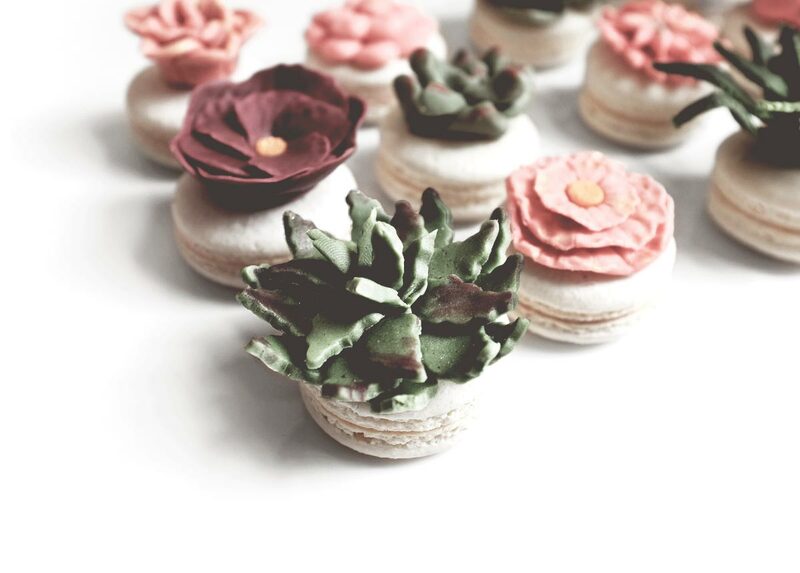 Luckily, macarons really prefer to be kept indoors! 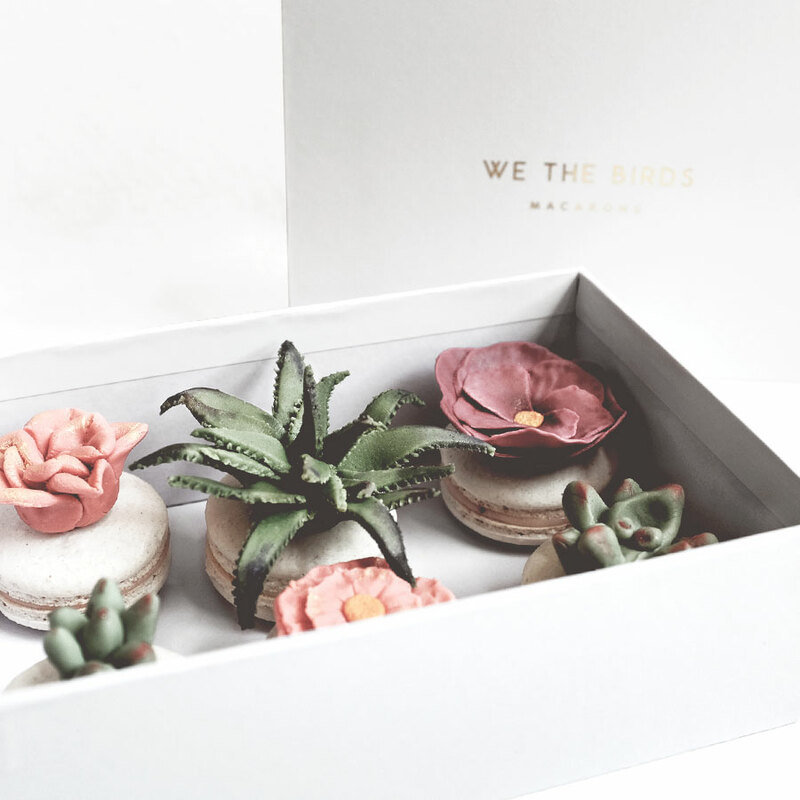 So we figured the best way to enjoy the desert vibes in our comfy air conditioned environment was to make succulent topped macarons! 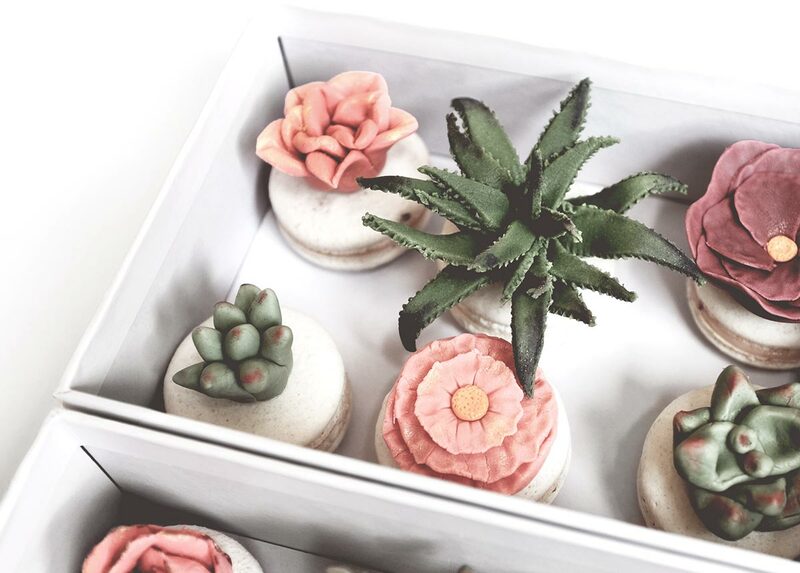 With a mix of vanilla fondant + gum paste, we carefully crafted our favorite succulent plants into sugar form to top our delicious strawberry and vanilla buttercream filled macarons. 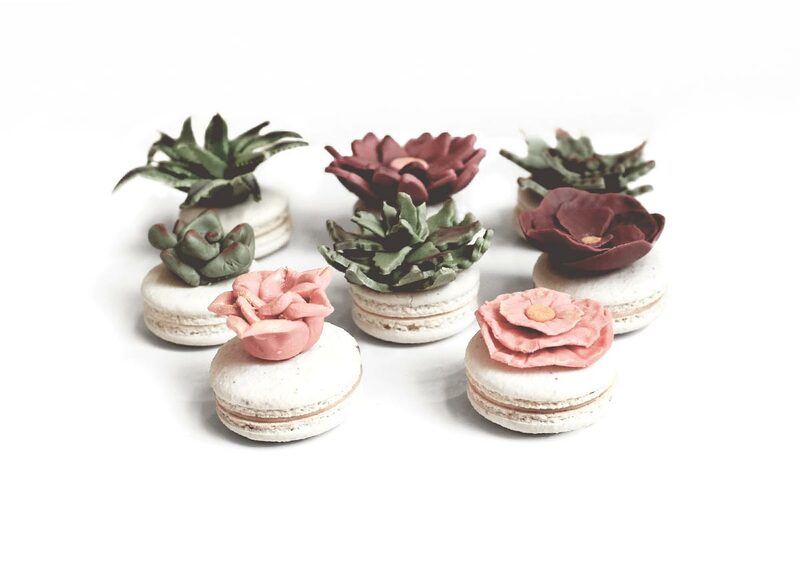 We hope this edible succulent garden visual makes you as happy as it did us :). 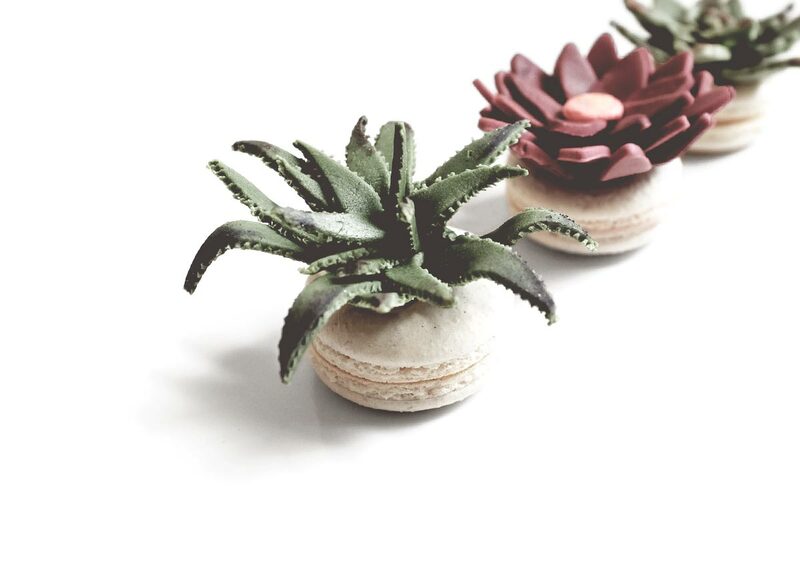 Get your hands on a pretty maca(rock) succulent on sale August 5th at Jade & Clover!